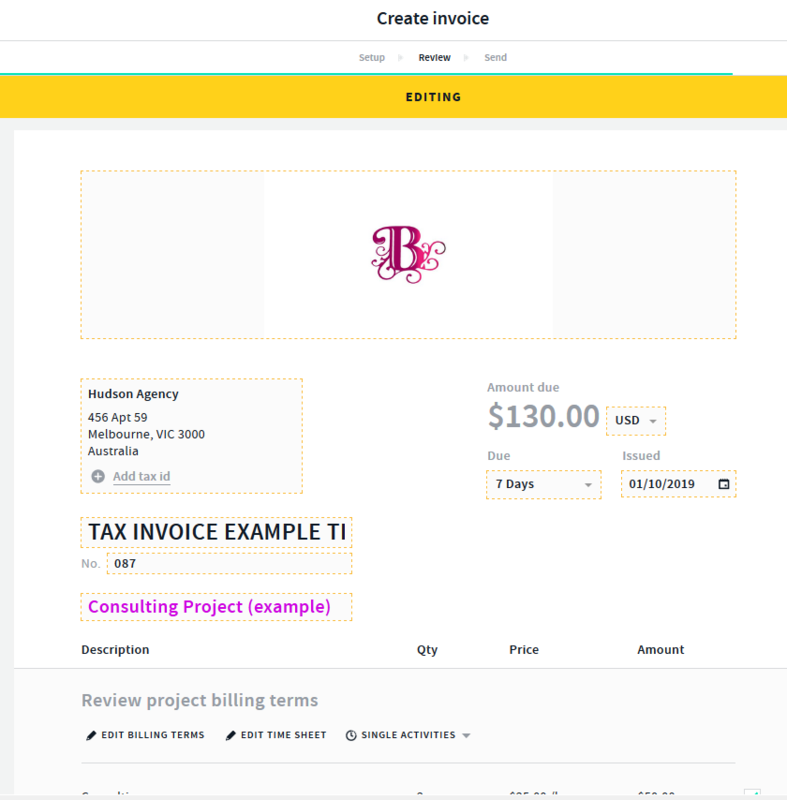 Turning off your PayMe Page on invoices allows you to turn of the PayMe button on individual invoices and advise your client to pay via an alternate payment method as opposed to your online payment gateway options eg WePay, Stripe or PayPal. See more on setting up online payment options here. 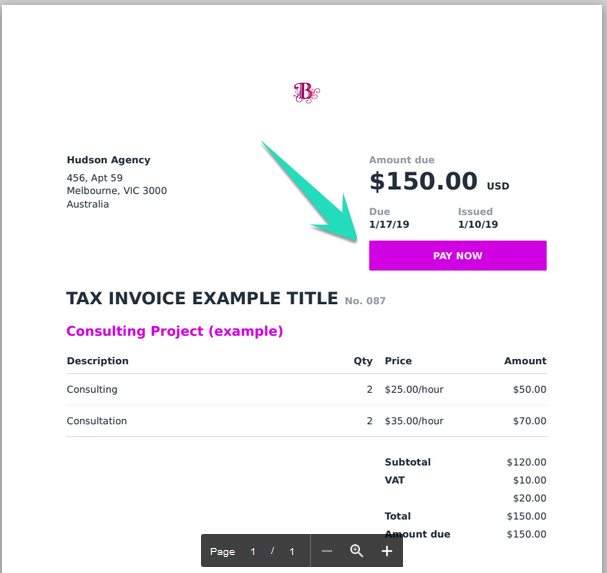 Once you have set up online payments and connected to WePay, Stripe or PayPal your personal PayMe link is displayed on invoices so your clients can pay you online with the click of a button. 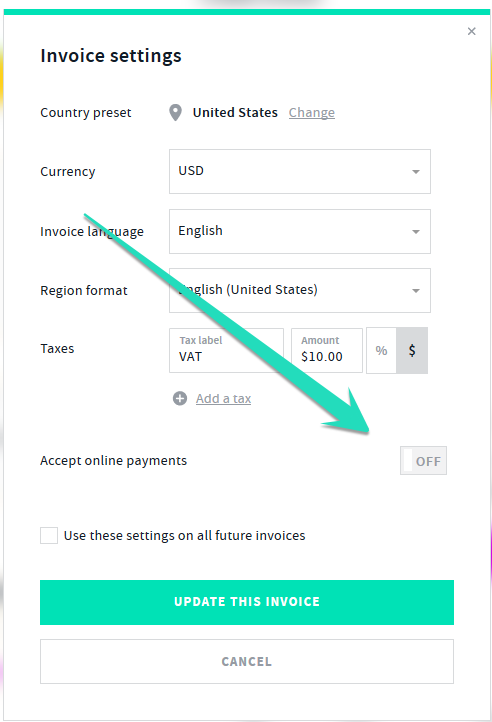 Should you wish to turn this Pay Now button off on an invoice you can do so via the invoice itself. 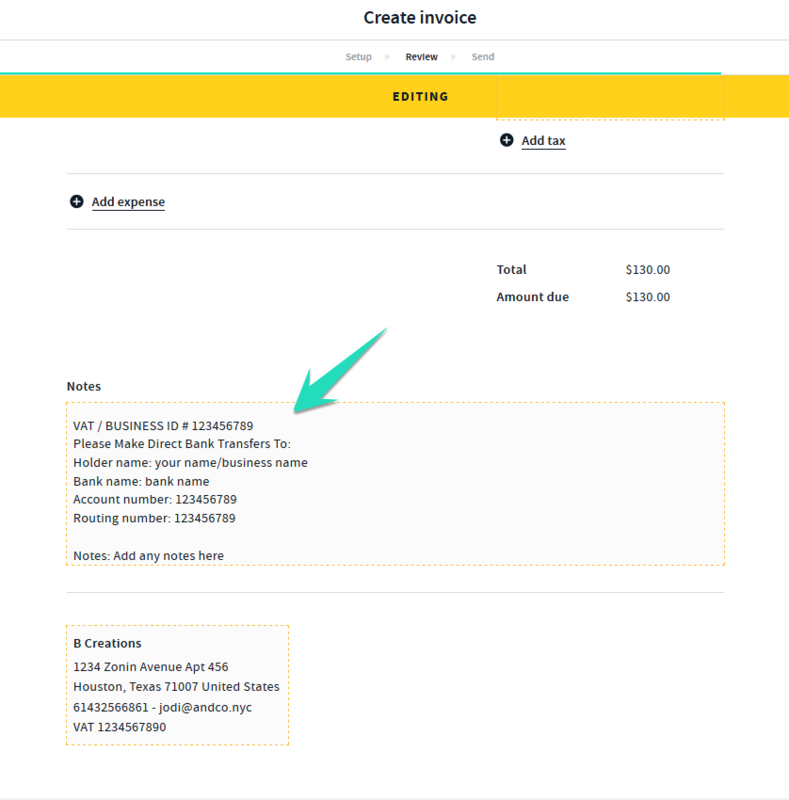 Once you have saved and updated the settings you will notice that the invoice is also updated and the PayMe button has been turned off. If you have alternate payment instructions we recommend displaying these via the invoice > edit mode> notes and alternative payment instructions section. 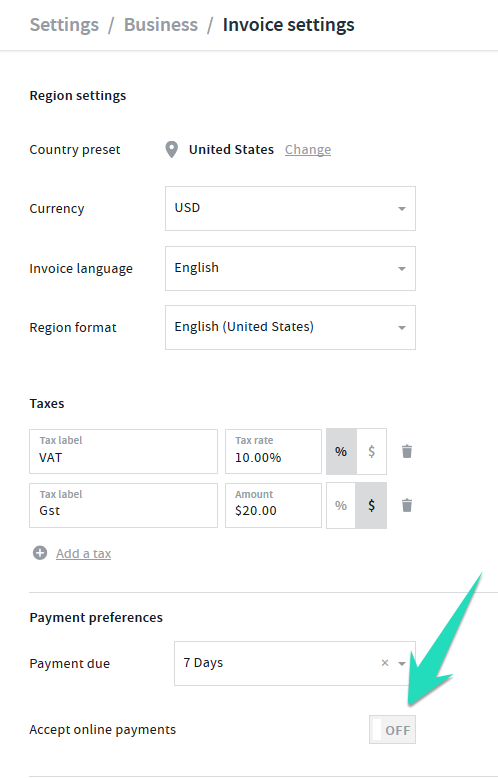 Once you are ready to send your invoice select the > Next option top right and follow the prompts.